Thinking about a change of career? Interested in the care sector but not sure if it is the right choice for you? 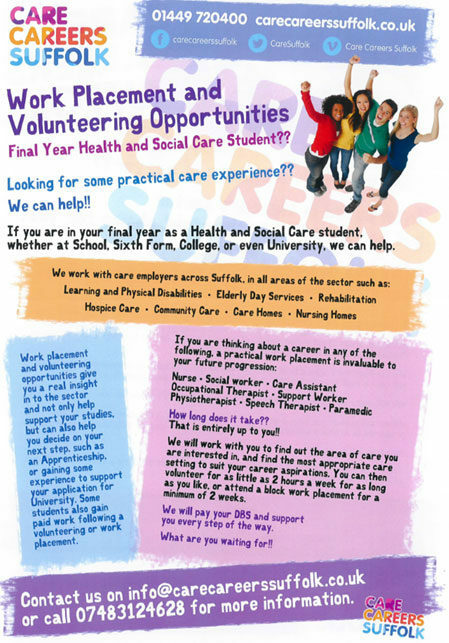 Why not attend a Taster Day, Work Placement or try Volunteering first?